American engineer. Member of the Atlas management team; headed test operations. Born: 1913-03-01. Died: 2006-10-01. Birth Place: Minneapolis, Minnesota. Withee, son of a telephone company foreman, graduated from the University of Minnesota in 1934, and was hired by Boeing Seattle, assigned to assist in the structural design of the Pan American Clipper, followed by work on the B-15 bomber flight control system. He moved to Vultee Downey in 1938, by 1945 becoming an Assistant Project Engineer on the XA-41 attack aircraft and XP-81 fighter. In 1947-1950 he worked in the same role on the delta-winged XP-92 fighter, the ancestor of the F-102, F-106, and B-58 aircraft of the 1950's. Thereafter he was a Senior Design Group Engineer for the R3Y, Pogo, Sea Dart, F-102, Convair 340 and 440 transports, and the MX-1593 Atlas ICBM. In 1955-1957 he was assigned to senior management posts in Convair's flight test operations, overseeing test of the F-102 interceptor at Edwards. 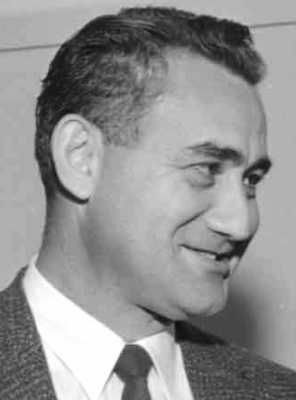 Withee was named Assistant Chief Engineer of the Astronautics Division of General Dynamics in 1957, and managed static and flight testing of the Atlas and its space- and manned-launch versions. From 1961 to 1965 he was Vice President of Engineering for the Astronautics Division. From 1965-1975 he served General Dynamics as Director of Test Operations for Convair, Program Director of Manned Space Systems (studies and proposals for NASA and the Air Force which were never funded to the hardware stage), Director of Advanced Systems, and Program Director of the Research and Applications Module project (advanced studies of NASA payloads). Thereafter he was Director of Energy Systems (fusion energy studies), finally retiring in 1978. Withee was considered a people-oriented, level-headed manager, able to get team members to cooperate and produce, solving problems in a positive manner without wasting time assigning blame. Country: USA. Bibliography: 4460, 4475. 1913 March 1 - . Birth of Wallace W Withee - . Nation: USA. Related Persons: Withee. American engineer. Member of the Atlas management team; headed test operations..
2006 October 1 - . Death of Wallace Walter Withee. - . Related Persons: Withee. American engineer. Member of the Atlas management team; headed test operations..